The tax law puts tight wraps on your ability to deduct year-end holiday business gifts to customers and clients. 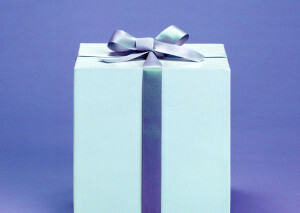 Your deduction for business gifts is limited to $25 per recipient. But that restriction applies to gifts to people, not companies. So you can give a company any size gift and write off the entire cost. Expenses related to gifts – wrapping, engraving, mailing – don’t count as part of the $25 limit. If you buy a customer a $25 brass business card holder and spend $14 to engrave, wrap and mail each one. You can deduct $39 as a business expense. Tickets to sports or theater events can be treated as either business gifts or entertainment expenses. Since these tickets often are quite expensive, treating them as entertainment costs can result in a larger deduction even after the 50% limit imposed on such expenses.